Our first talks of the spring are Thursday 29 January. We hope you can join us for two investigations of Central Asia, which was at the heart of the Silk Road. 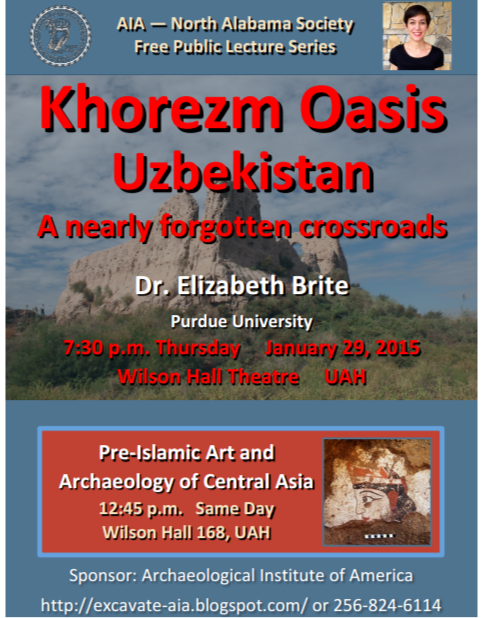 "Pre-Islamic Art and Archaeology of Central Asia"
"The Khorezm Oasis, Uzbekistan: a Nearly Forgotten Crossroads"